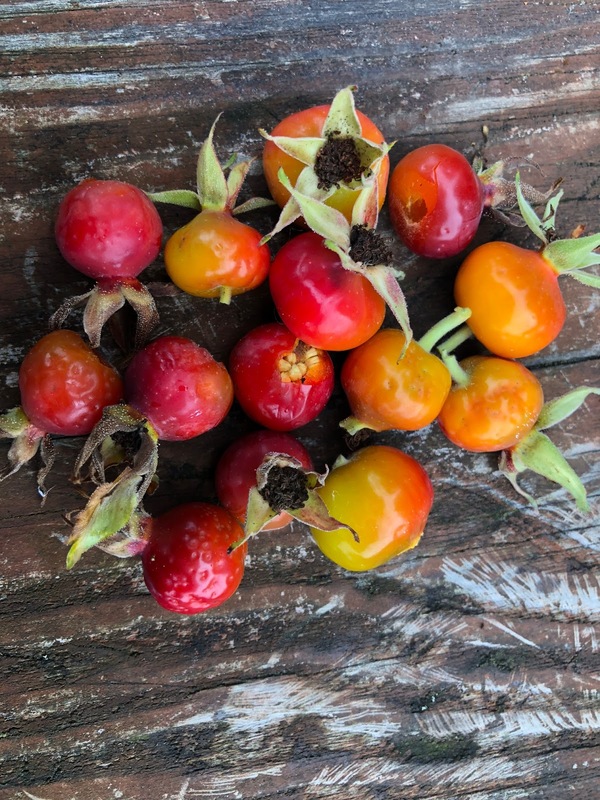 It may be too late for this year but remember for next year the abundance of rosehips growing in our area! Did you know that they are extremely high in Vitamin C? Gather rosehips. Wash well. Boil in a pot to get liquid. Strain. Add a little lemon juice. Add some sugar. Now you have a delicious tea! For a heartier tea, after boiling but before straining, put the entire amount in a blender, and add lemon juice and sugar. Blend, then strain well. You get all of the nourishing pulp in your tea!